Colorado Gov. John Hickenlooper is a successful businessperson-turned-politician known for his pro-business stance. But the Democrat delivered a second blow to marijuana entrepreneurs Tuesday when he vetoed a bill that would have allowed publicly traded companies to invest in the state’s MJ industry. The veto came just a day after he rejected legislation that would have made Colorado the first state to permit cannabis tasting rooms. Hickenlooper wrote in the investment veto letter that allowing publicly traded companies to enter Colorado’s MJ market is “premature,” given the industry is illegal at the federal level and lacks proper banking services. He also argued that such access to publicly traded markets historically has come with higher levels of fraudulent activities. “We have significant concern about this broader access to capital markets, particularly as it relates to our responsibility to keep criminal enterprises out of the regulated marketplace,” he wrote. 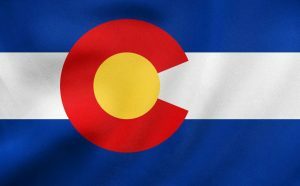 Proponents have argued such legislation is needed to put Colorado on par with other key states in terms of attracting capital investment opportunities in what has become a mature, growing market. Christian Sederberg, a Colorado cannabis attorney, recently told Marijuana Business Daily the legislation was “the culmination of several years of discussions” and included such safeguards as extensive criminal background checks and strict financial disclosure requirements for publicly traded companies. Also Tuesday, Hickenlooper vetoed a bill that would have added autism spectrum disorder as a qualifying patient condition for receiving medical marijuana, arguing in part that the effect of MMJ on the condition hasn’t been fully studied.